P.E Nation is one of the most powerful labels to come out of Australia within the last few years, and it shows no sign of slowing down. 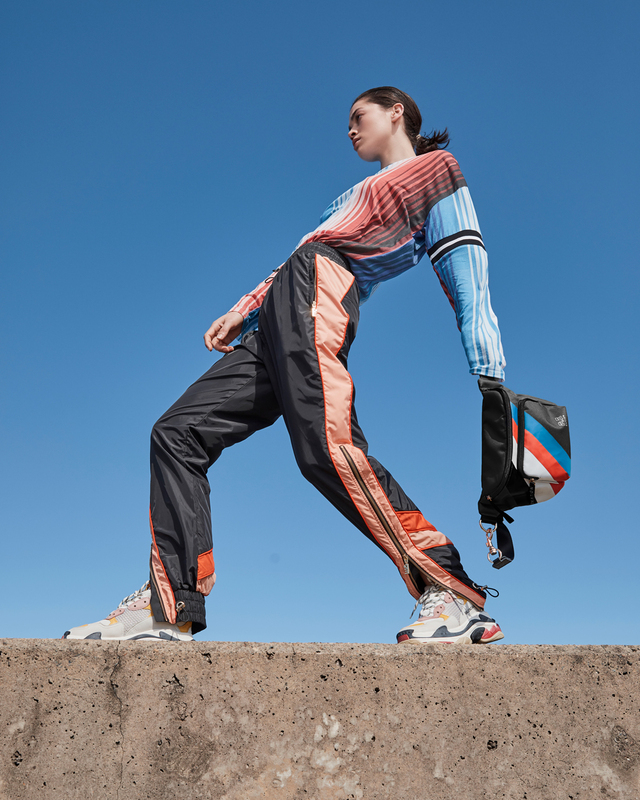 Today, the label that brilliantly fuses activewear, streetwear and fashion into one covetable package, has revealed their latest drop. Called Power Up, it’s been designed to raise the bar again. Featuring a fresh colour palette of atmospheric shades like blue glass, aqua and bright amber orange, you are going to want to top up, refresh and stock up on your collection of tights, crops, tees and sports jackets. Expect to see high rise bike pants and of the moment luxury sweat pants in P.E’s signature technical fabrications and artistic graphic applications. Also new this season is a bold, firey red, which has been slashed across tights and jumpers. As well as Power Up, we've also got our eyes on the Kick Serve or Sonic Boom bumbags, and that totally stunning Rerun pleated skirt in bright sapphire blue. Power Up is available online and in stores as of Monday 15 April. Here are all the sneakers you need to shop this month.